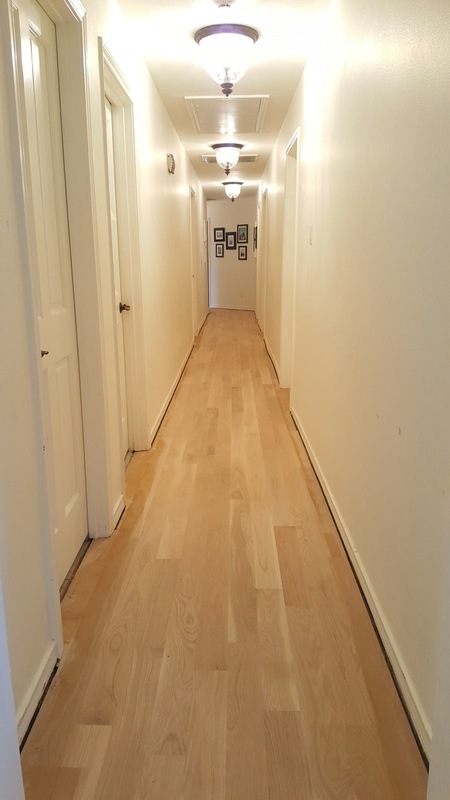 Sanding and refinishing of a older solid hardwood floor is a process to update or change the color of the flooring. Using a belt sander for the field area and a flooring edger for the perimeter. Multiple grades of sand paper are used from a ruff cut to a fine cut, each paper removes the prior grit paper sanding marks. Wood filler is used to fill nail holes small gaps in the wood flooring. 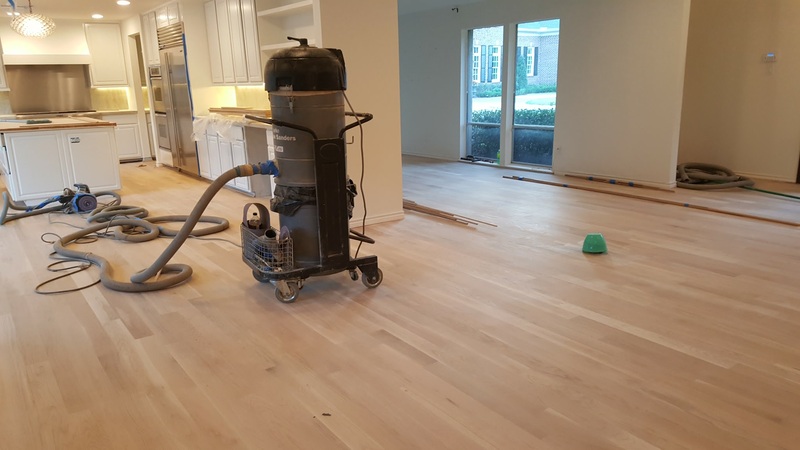 Then a wood floor buffer is used to do a real fine cut this will make it flawless, at the same time close the wood grain so the stain will only absorb to a minimal depth. 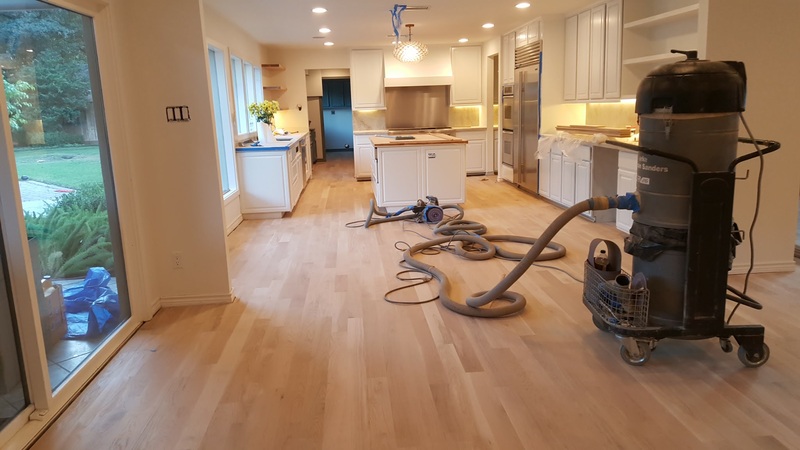 Sand and refinishing of wood floors will help update your home and is mostly performed when floors are worn, scratched, water damaged and buckled or to just get prepared when selling a home. 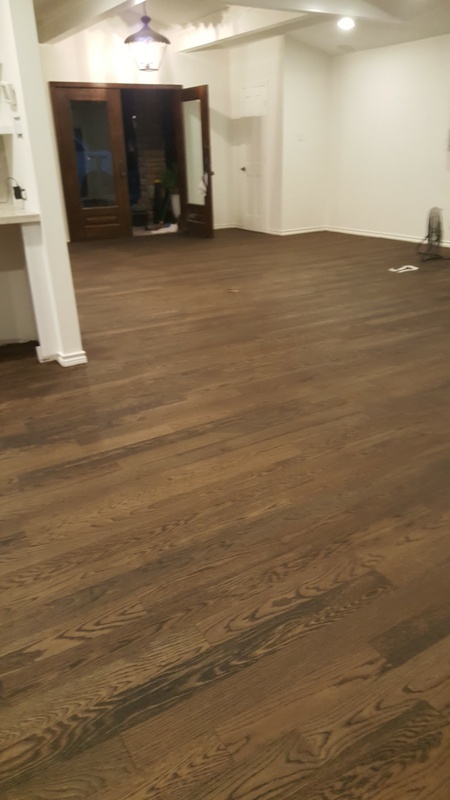 Hardwood floor refinished in Piney Point Village, water pop, then used a mixture of 1/2 Eboney & 1/2 dark walnut dura seal stain. Wood floor is completely sanded cracks filled and flooring is buffed and ready for a water popping. 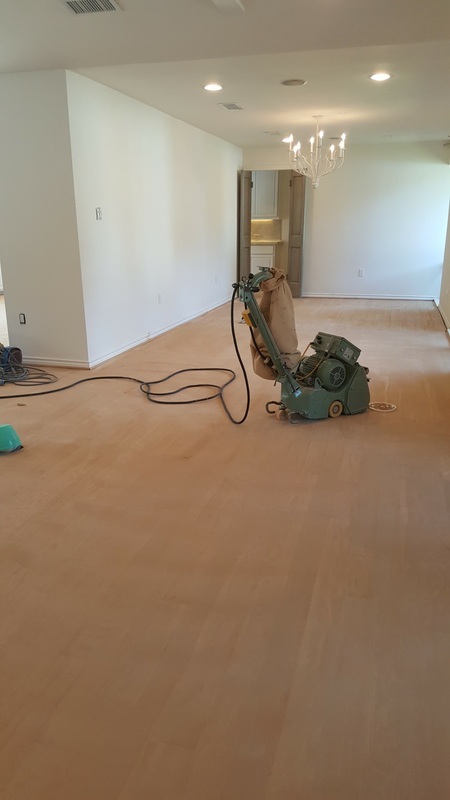 Wet use a vacume cleaner by clarke to minimise dust and to keep a clean job site. To minimise wood flooring diary that is usally thrown into the air when ding a complete wood floor refinishing. Dust containment system. 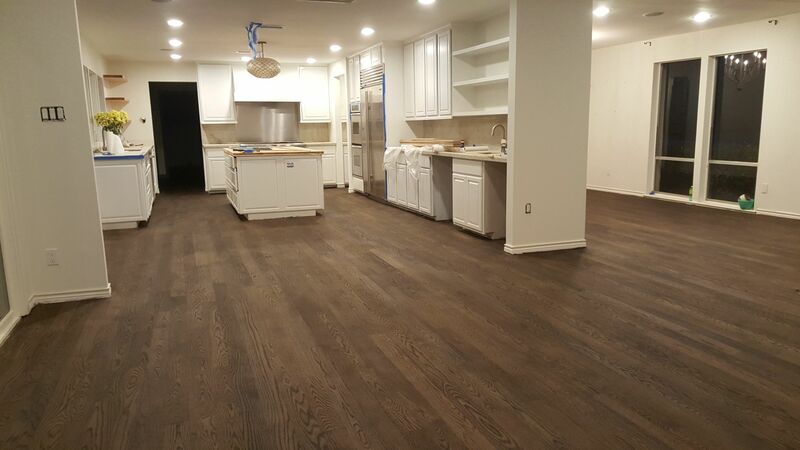 We trowel fill the entire wood flooring with a wood floor filler that is the same specie of material, red or white oak. 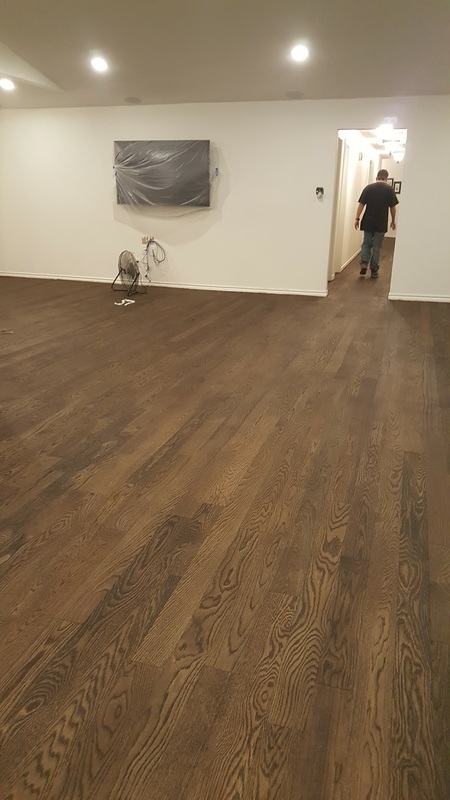 After the staining process the results for all the work are great! After stainng the wood flooring the wood floor is ready for a finish using waterbase, oilbase oir just a wax finish.